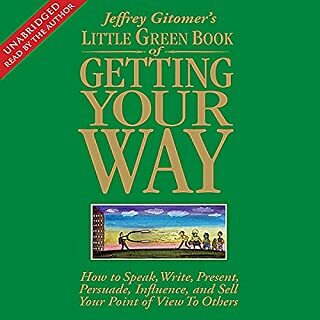 Jeffrey Gitomer's The Little Green Book of Getting Your Way digs deep into the 9.5 elements that make persuasion, and getting your way, happen. By breaking down the elements, the listener will begin to understand, take action, become proficient, and then master the ability to persuade. 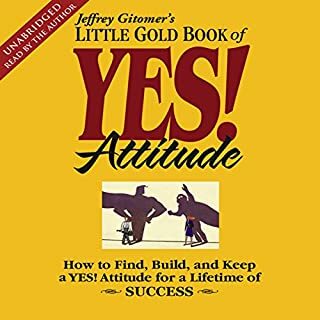 Because persuasion occurs in so many different areas of life and business, Gitomer leads the listener from mental readiness to the principles of getting your way and the power that persuasion offers. Too similar to the info in the Sales Bible!! Salespeople need answers, fast! 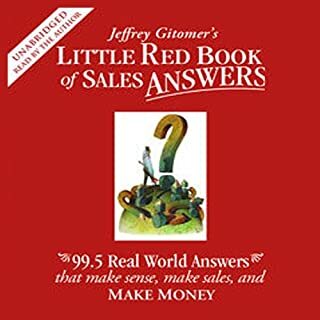 Now, one book brings together all the proven, tested, instant answers they'll ever want: Little Red Book of Sales Answers. 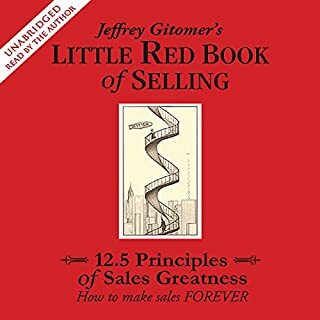 This is the legendary Jeffrey Gitomer, the world's #1 sales presenter and author of the inspirational 250,000-copy best seller Little Red Book of Selling. 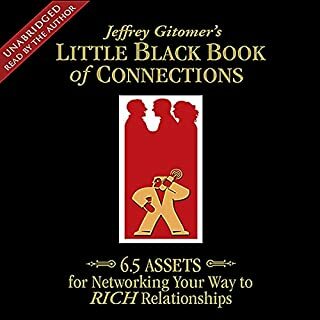 This new book goes beyond anything Gitomer's ever done, offering 99.5 quick, fun-to-read, real-world answers guaranteed to make sense, and make money! ©2008 Jeffrey Gitomer (P)2008 Simon and Schuster, Inc. This is MUCH better in book form, because you can trim the fat. Gitomer is pretty arrogant, and while he's direct and to the point, he also rubs me the wrong way. You can't tell as much in the book, so you end up getting a lot more out of the book than the audio program. This does have some solid information in it - I can't say it's bad MATERIAL, but I honestly got nothing out of the audiobook, because all I wanted to do was cut to the point! This audiobook can really be cut by 80%. I was convinced to buy this Audiobook based on the amount of good reviews it has received. I don't understand why it's rated so well. The book is full of lists, which don't translate well to this format, and it's read by the author, who I imagine might be a good salesperson, but he's not a professional reader. The book is OK and it's funny and provocative, but also with segmented ideas and not a coherent flow. If I were to get it, it would be in book form, since it might be full of reference material for later. recommend to anyone in sales. 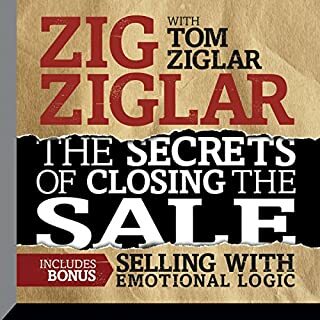 If you are new to sales, this book is excellent, if you are in the game and need some direction, then this book is gold. Jeffrey doesn't mince words but he does tell you how it is and how it can be. He paces out this book nicely and his style is unique and entertaining. One point he makes is to have fun and that is my kind of advice I like to hear. Who said work can't be fun. He is good and I think this book will make you good at your type of sales. Not a book of 'if you believe you can' or the new sales is all about finding yourself but rather a good slant on the whole business of what sales is about and what you need to work at to make it work for you. Good book, great man. yes! every one needs a coach to keep you from making excuses for yourself. JG is the real deal and has done what he teaches. His story of getting his book deal. Well worth the listen and will be a re-listen over and over. Unless your a ridiculously pathetic salesperson with a desire to hear someone brag, you may want to skip this book. There's about twenty minutes of teaching. Honestly I have mixed emotions about the book. There were parts I liked but the author comes off cocky at times which I found annoying. Also, considering the book is over 8 hrs I DID NOT LIKE how the author continually tried to get me to go to his website for more information on various topics. The "Bible" doesn't say "thou shalt not steal; now go to www.god.com for the top 10.5 tips on why stealing is bad"... Obviously the author wants to collect my info so he can sell me stuff down the road. Thats selling I know but it was just a little too much for my tastes. Excellent Content a Great Investment! I would to The Sales Bible again, in fact I have. There is so much information packed into each chapter I find I can discover a new point to focus on that I maybe did not pay attention to on a prior listening. It incorporates the basics in everyday language and it also tells the sales professional how to step up his/her game. Jeffry Gitomer doesn't beat around the busy, his points are clear and make sense. I suspect I will listen to this book many more times in the months and years to come. Selling skills are an essential part of successful business men and women. This book combines themes and ideas I have read in other books in a more direct way. His points are succinct. Again I appreciate his lists of points on the various topics. Direct and to the point I always find the most memorable. He explains what his points mean but there is no fluff in between. Nothing, he performed passionately and with confidence. Thought I knew it all. Ha! 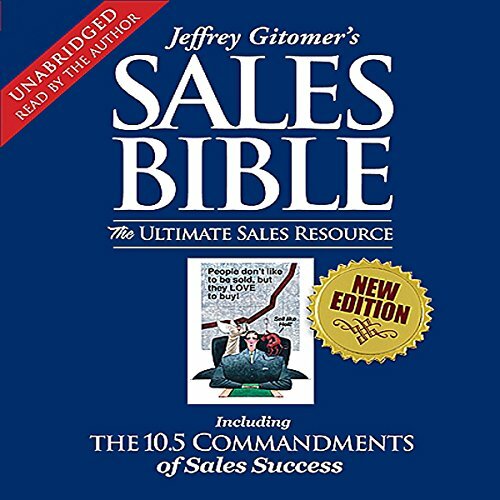 What made the experience of listening to The Sales Bible the most enjoyable? It was nice to have the author do the reading o you can understand his emotion in the book. I hated sales. I was afraid of it and the rejection. This guy has enlighten so much that I'm actually excited to make a sales call for once in my life!!!! I'm yet to test it out, hopefully it get good results. This audiobook is jam packed with useful strategies, hot tips and helpful advice. It's perfect for newbies and pros alike. A myst read for everyone who want more in life! Educate yourself! Have a safe successful journey! Well written and narrated, loads of great ideas. He's straight up and gets to the point without waffling & I think I'll have to re-listen a couple more times to make sure I've got everything out of it - next time with a pen so I can write the key bits down! loved it. was sensible matter of fact showing throughout the experience and been there done that knowledge of the author. It was a great listen on my way to work for a couple weeks, and can relate to many of stories, and share the same passion and drive for sales. it has helped me direct my focus more in the right places. Needs to be streamlined. No concept. Lots of information all over the place in no order. Don't bother listening to this unless you have no experiance of sales before and are wet behind the ears. You will just waste your time listening to this - it is not a bible it should be called the book of lists for dummies. Anything you want in detail that is relevant he skims over and does not go in any detail instead giving you a silly list, he won't actually give you any examples that you can think through he will give you a list and he'll insist on you registering on his website for some of the lists so he can get your email address! Just don't waste your time, this guy leaves a bad taste in your mouth as you feel you've wasted 8 hours of your life listening to this that you could of used listening to another book that may have helped. Go to Gitomer dot com, register if you're a first time user and enter *blank* into the gitbit box. Even saying things like here are the 14 tips to *blank* saying 12 of the 14 and saying for the last two go to Gitomer dot com, register if you're a first time user and enter *blank* into the gitbit box.